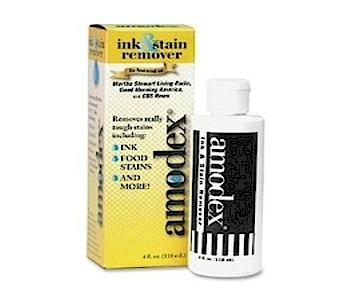 Best non-hazardous way to remove ink stains from fabrics. White paste rubbed into stain absorbs it a little at a time. Do not mix with other chemicals or water. Will not pull color.